To NaPoWriMo or Not To NaPoWriMo? — That is the Question. Like most writers I know, I have an abundance of books. Some would say too many, but we all know there’s no such thing. And now, just as I did when Vincent first became mobile, I spend altogether too much time rescuing my books from Aidan. As I skid the wood floors from room to room in pursuit of the toddling mischief-maker, Lance can be heard grumbling sotto voce, “Do you have to have piles of books on every table in every room?” Well, yes. Obviously. One side benefit of Aidan’s attempted book-savaging and my just-in-time salvaging, the only benefit that I can see, is that he discovers books I’d forgotten I had, that I haven’t read in a while that I may now read with a new eye. Case in point: Wild and Whirling Words: A Poetic Conversation, moderated by H.L. Hix. Participating poets include Carol Frost, Cate Marvin, Bin Ramke, Annie Finch, Paisley Rekdal, Michael Waters, Rachel Blau DuPlessis, A.E. Stallings…and more! It’s a really rich sampling, and bears multiple readings, preferably years apart: time enough to have forgotten the poets & poems, and to have deepened your own reading & poetry practice, so that you return to the poems and the responses with a fresh perspective. To answer the question — am I going to NaPoWriMo this year? — is difficult for me. Completing last year’s challenge, actually writing 30 poems in 30 days, was so exhilarating! And a large part of the zest of it is being among the larger NaPoWriMo community, all of us plugging away at our poems & postings. But part of the purpose of participating for me was reintegrating a regular poetry practice into my utterly changed & expanded life. Which I have been pretty successful doing: I’ve written more this past year than the previous five years combined. So my focus this NaPoWriMo will be to continue as I’ve been, and making good notes of all those ingenious prompts on offer. If there’s anything I truly want to improve, it’s the time I spend reading and re-reading. So many books! Speaking of National Poetry Month: we’re packing in 2 events over at the Collected Poets Series to celebrate, so go on over, check it out, and come if you can! Also, if you haven’t yet taken advantage, I’m participating in Kelli Russell Agodon‘s Poetry Giveaway for National Poetry Month. Leave a comment here to be entered in my giveaway — you could win any one of THREE items! This truly has been the craziest month in recent memory, and definitely not a good time for anyone. Just when Vincent was getting over the flu, Aidan started vomiting late that Saturday night. So I slept with him on the couch while he dry-heaved every few hours. It was quite awful for him. Then, a few days later, when Aidan was almost over that, Vincent took a spill and displaced his hip. (It’s kind of amazing, actually, to see what falls damage. This was the boy who survived falling out a 2nd story window marked only with a couple scrapes, after all. The important difference was that he landed on grass then, and last week he landed on a hard wood floor.) Not a long-lasting injury, fortunately, but he was in intense pain for several days and completely incapacitated. When Vincent passed out on the couch that night (see picture above), we left him there — moving him to his bed would have certainly caused him pain. He woke up at 1:30am moaning. I gave him more children’s Motrin for the pain and inflammation, then carried him to the bathroom. 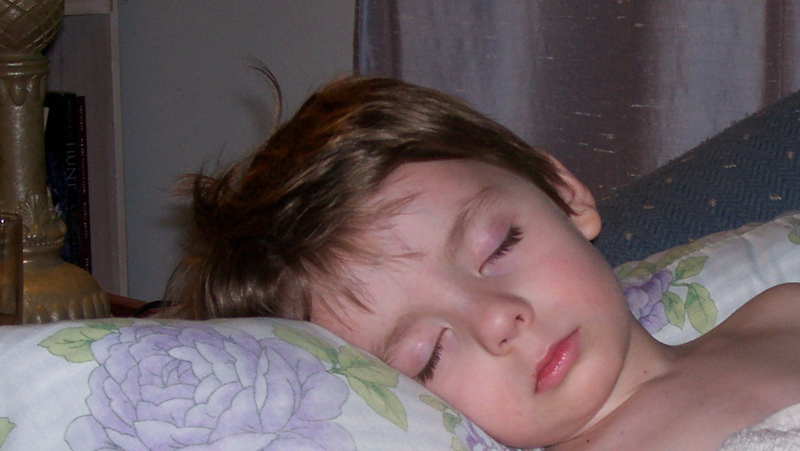 Just when he was settled again and sleeping, Aidan woke up. I changed his diaper, got him back to sleep…and then he woke up again, and proceeded to vomit all over the bed. I changed his pajamas, changed the sheets, and thanked heaven that all this racket somehow failed to disturb Vincent, resting a few feet away. That’s one of the small mercies that help get you through these sorts of days. The good news is that both boys seem to be back to their sprightly selves now. 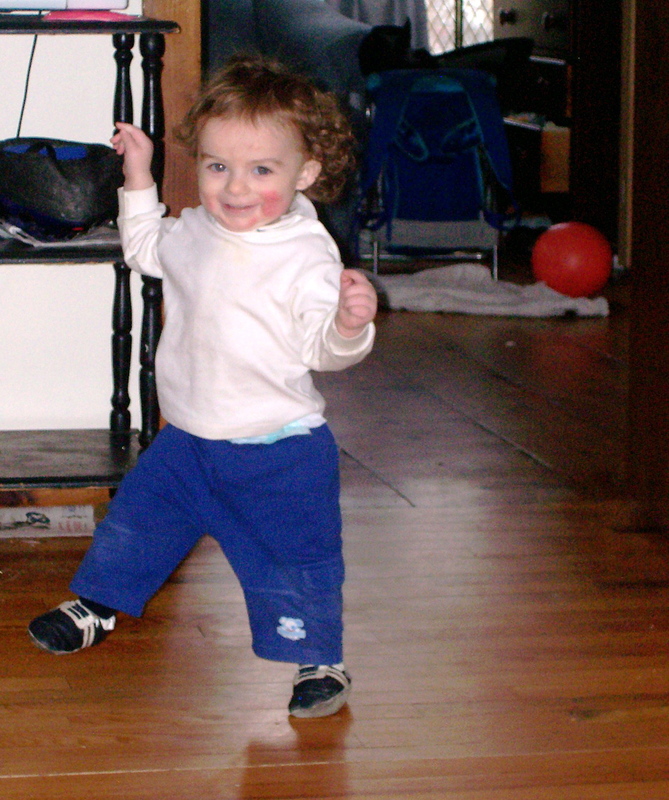 And, another small mercy: by some miracle their illness hasn’t spread to Lance and me. To add an element of poetry to this post o’ whine: if you haven’t already, don’t forget to leave a comment in the post below to enter in the Poetry Giveaway for National Poetry Month! April’s almost here, and as far as I’m concerned, it can’t come soon enough! Poetry Book Giveaway for NaPoMo 2010! Praise be to Kelli Russell Agodon for coming up with this Poetry Book Giveaway for National Poetry Month 2010 (a.k.a., April)! 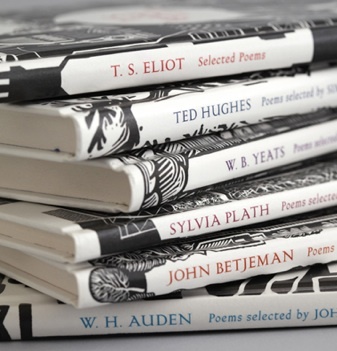 What better way to celebrate poetry than to share poetry books? Visit Book of Kells to see what it’s all about & check out the other participating blogs. In a nutshell: Starting now until April 30, 2010, whoever leaves a comment to this post will be entered in drawings for 2 free poetry books. One of the books I’m giving away is my own, Hunger All Inside. The second is Longing Distance, by Sarah Hannah, the first book of a wonder-full poet lost too soon. 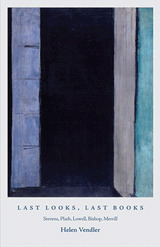 Click on her book cover to read some sample poems over at the Tupelo Press website. My extra copy of this collection predates my involvement with the press — it’s a treasure I’m happy to share. I’ll announce the winners on May 1. Note: Thank you to all who’ve entered! As an added bonus, I’ve decided to also giveaway a subscription to my favorite poetry journal, Cave Wall. Check it out by clicking on the cover below. After a remarkably healthy winter our luck ran out: last week Vincent came down with the flu — and believe me when I tell you that this skinny skinny boy really should not do without food for any length of time — and then, as I suppose was inevitable, on Saturday night, Aidan woke up crying: as soon as I picked him up the generous boy shared the entire contents of his stomach with me. All of which is to say that I will continue to be behind and neglectful of my reading & writing on the interwebs for the time being. Just when I thought I’d reached the end of my Lowell/Bishop jag, I discovered Helen Vendler’s newly released book of essays from Princeton University Press, Last Looks, Last Books: Stevens, Plath, Lowell, Bishop, Merrill. Pulleys & Locomotion, by Rachel Galvin (Black Lawrence Press). Black Leapt In, by Chris Forhan (Barrow Street Press). Tulips, Water, Ash, by Lisa Gluskin Stonestreet (Northeastern University Press). I’ve been wanting to read this since I read Emma Bolden‘s terrific review in the fall 2009 issue of Poets’ Quarterly. This collection was the 2009 Morse Poetry Prize winner. I tend to really like the winners of this prize: Chris Forhan’s The Actual Moon, The Actual Stars, the 2003 winner, is one of my favorite books. I was disappointed when I heard they’d suspended the contest. 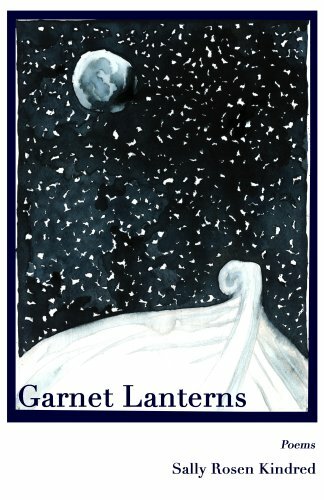 Garnet Lanterns, by Sally Rosen Kindred (2005 Winner Anabiosis Press Chapbook Contest). I love the cover of this. Don’t hate me because I’m shallow. I’ve read her poems in various places, so I’m sure I’m going to love the poems, too. Flood Year, by Sara Tracey (Dancing Girl Press). The Traffic in Women, by Kristina Marie Darling (Dancing Girl Press). A Classic Game of Murder, by Katie Cappella (Dancing Girl Press). How to Study Birds, by Sarah Gardner (Dancing Girl Press). Yes, someone took advantage of DGP’s awesome winter sale. Great stuff! And great covers here, too. Have you ever seen such delight? This set me to wondering. I think I instinctively root out what I can learn from poets I love as I read their poems. Sometimes this is done just by virtue of reading and rereading, osmosis, my poetry veins sopping it all up. Other times it’s a very conscious decision — especially when the poet’s work is a stretch for me. But it’s generally pretty haphazard — I read a lot, and hope to learn something in the process. If you were going to do this same exercise, for March, say, in preparation for NaPoWriMo 2010, but instead planned to study 3 contemporary poets, who would they be, and what specifically do you think you could learn from them? 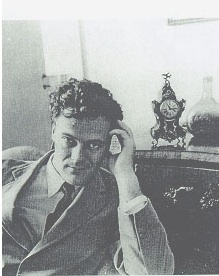 On [what was] this day [when I began this post but is now yesterday] in 1917, Robert Lowell was born. I’m about a third of the way through Paul Mariani’s biography of Lowell, Lost Puritan, and I’m liking it more than the Hamilton so far — Mariani, while just as blunt about the wreckage Lowell’s breakdowns wrought, seems more compassionate on the whole, and less judgmental. I have the sense that Mariani actually likes Cal Lowell, for all his flaws, which makes Lost Puritan a much more full-blooded read. Just one aspect of havoc his mental illness inflicted on his life, an aspect that gets forgotten, I think, amidst the stories of his infidelities (manic episodes were inevitably accompanied by an affair — they were practically symptoms in themselves) and outrageous behavior, is the bald fact of time lost. Nearly once a year for, what, a decade? more? Cal suffered a breakdown followed by months, months, of recovery in various clinics or institutions. Elizabeth Bishop suffered from depression, and was a serious alcoholic. I had no idea. Characterizations of her tend to be in the reticent & self-deprecating vein. But she was in her own way just as screwed up as Cal. In her later years she seemed to be constantly recovering from some broken bone or another due to drunken spills. She hated to be alone, solitude paralyzed her — she would find it impossible to write and would be sucked into another cycle of drinking and subsequent stints somewhere to dry out. Again, all the time lost. All appearances to the contrary (the size of his Collected! ), Cal was not constantly writing new poems. There are poems he worked and worked on, only to discard either in their entirety or in huge part. And while Elizabeth is the one portrayed as a perfectionist, he also revised endlessly. But Elizabeth certainly wrote more than she included in her Complete Poems, as evidenced by the much-debated Edgar Allan Poe & The Jukebox, edited by Alice Quinn. Comparatively speaking, they both led pretty privileged lives: lots of travel, summer homes, often free of the responsibility to work outside of writing. This is especially true of Elizabeth, though her nomadic life was a source of strain and a corollary to her larger sense of homelessness and aloneness. But they sacrificed so much of themselves and their writing life to their illnesses. In this respect alone, the poetry they did manage to write is truly a triumph, written in spite of their sufferings, not because of. That so much of it is outstanding is a literary wonder. But it seems to me that Cal was able to write, to find solace in writing, in a way that Elizabeth, stymied by self-doubt and insecurity, could not. And whatever its cause (her status as a woman poet? as a lesbian woman poet? ), this, in a her lifeful of grief, is what saddens me most.